Mike Phillips is a leading expert in the field of auto detailing and reconditioning with 33 years of real world experience and a true passion for automobiles. 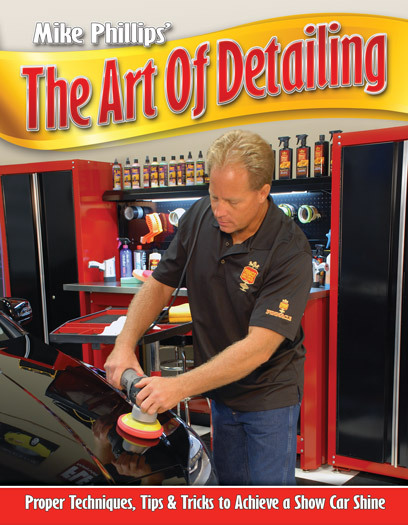 Now he shares with you everything he knows about achieving a show car shine in his book, The Art of Detailing. Mike honed his skills first as a hobbyist, then as a trainer at Meguiar's, and now as Autogeek's resident expert and Director of Training. But all you have to do is download his e-book! It will walk you step by step through the process of choosing the right tools, identifying paint imperfections, selecting products, and the application and removal process of those products. Mike's detailed explanations are simple and straightforward - just like his classes here at Autogeek's Show Car Garage. 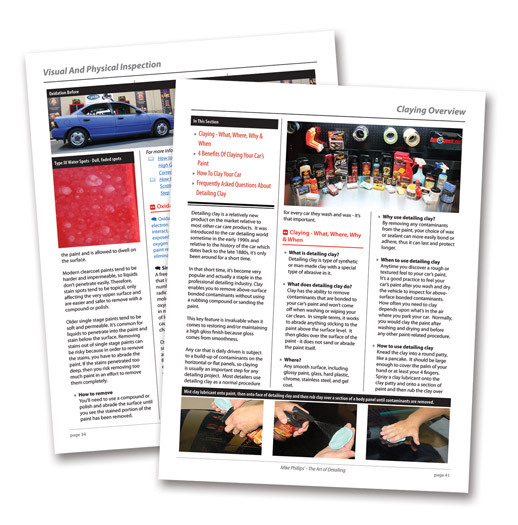 While there is no substitute for hands-on training, The Art of Detailing gives you a powerful reference guide at your fingertips. The e-book is interactive! Links throughout the book take you to more information within the book or on the web. The interactive table of contents makes it easy to find what you're looking for. This book is designed for do-it-yourself hobbyists and professional detailers. Download The Art of Detailing today and you can instantly begin learning Mike's professional techniques for turning an ordinary vehicle into a show car!